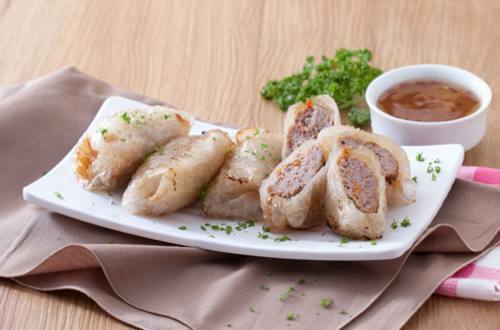 1 Pork Kikiam is one of those versatile dishes that you can do at home. It’s fast and easy and big on flavour too. 2 Let’s begin by combining the pork, five spice powder, carrots, onions, peppers, corn starch and Knorr Liquid Seasoning. 3 The next step is to place about 1 ½ tbsp mixture in the rice paper and roll them. And then, just shallow fry them in hot oil. 5 Who says you need to go out and wait for “manong” to buy because this homemade Pork Kikiam Recipe will be the talk of the town.